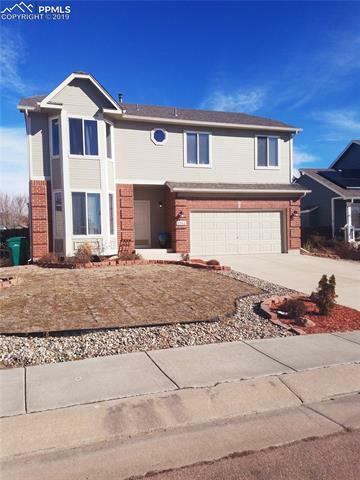 Charming & Spacious 2-story w/ fin. bsmnt. Great room w/ dining area opening to lg walk out living room w/ gas fireplace. Bright kitchen w/bay windows (mtn. views), white cabinets, breakfast bar, pantry, island & nook. Stainless appliances stay! Island stays! Hickory laminate flooring on the main and in basement. Large Master Bedroom w/4-piece Bath & walk-in closet. 2 more bedrooms incl 1 w bay window. Laundry on upper level. Bsmnt offers Rec Room, Bedroom & Bath. Large backyard w/huge deck & dog run! Pergola stays!